A heavy series pneumatic block cutting machine, suitable for carrying out primary vertical (or horizontal) drilling and bank-side squaring in the quarry. 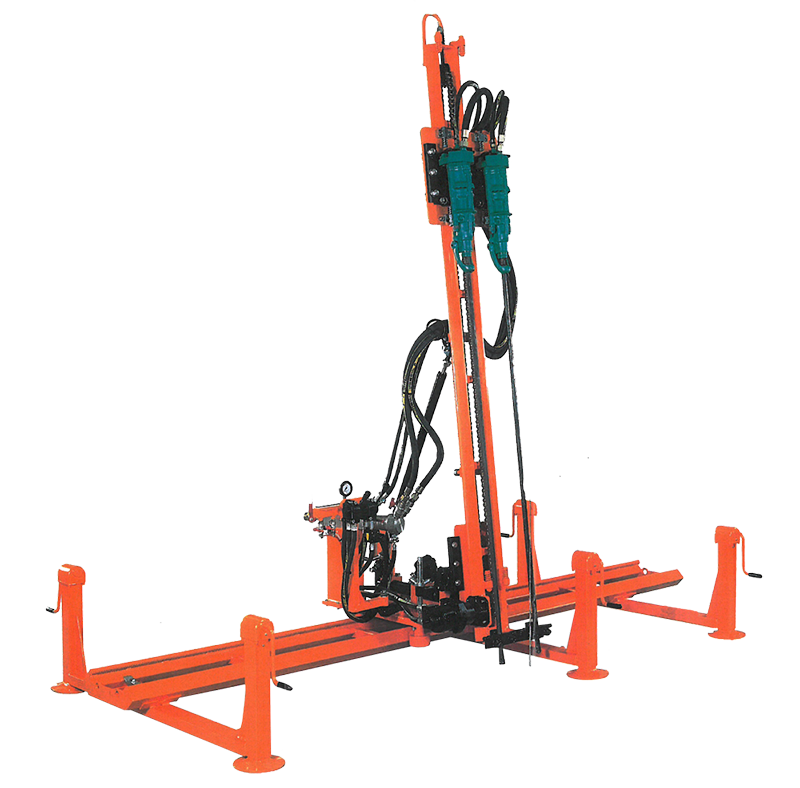 Prearranged to be used with one or two Y24 rock-drills or a 100kg heavy duty rockdrill. Thanks to its robust structure, its column translation quickness and easy lifting of the machine represent the best compromise between use and practicality and high performances. Devices of the column allow an easy adaptation to the desired drilling lines, both in cross and side direction as high as 25 degrees. A set of manual control stabilisers allows an easy and quick levelling with respect to the ground. A column with 2,40 or 3,20m first starting drill steel is recommended. The special model RUSTICA SARDEGNA is provided with a 4,00m drill steel-starting column, intermediate drill guide and water pump.